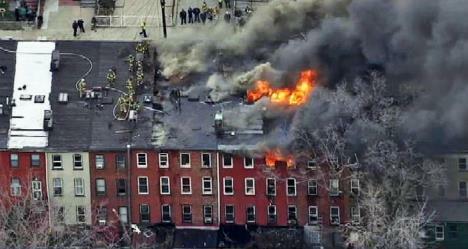 The Jersey City Fire Department - is comprised of 550 uniformed members and 50 civilian employees. The Fire Department maintains a fleet of 28 pieces of front line fire apparatus which include pumper trucks, ladder trucks, rescue trucks, a hazardous materials unit (HAZMAT) and a mask service unit (MSU). Fire companies respond from 17 fire stations located throughout the City. Last year, the Fire Department responded to over 18,000 fire alarms, emergencies, and requests for medical assistance. 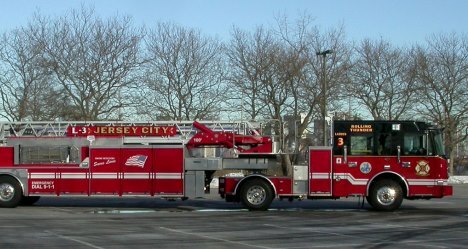 All members of the Jersey City Fire Department receive first responder training and all Fire Department vehicles are equipped with automatic defibrillators. With the growth of the Jersey City waterfront, Jersey City is now home to 142 high-rise buildings including the tallest building in New Jersey, adding to the Fire Department’s formidable task of protecting the citizens of Jersey City.